Jim Cunningham showed the Congresswoman around the house. 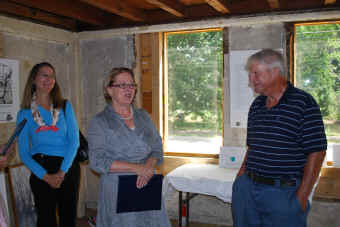 Jane Adams, staff, and Niki Tsongas spoke with Mike McGrath, prior owner of the house. 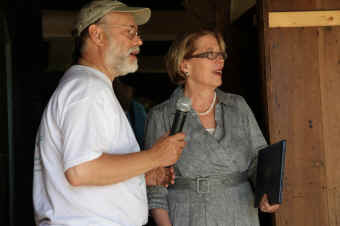 ... getting the farm into the National Park boundary ... ... and the help and interest from Senator Kennedy. 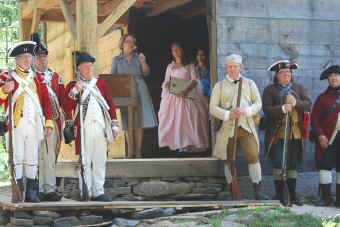 The re-enactors, SOH, and Tsongas in front of house. 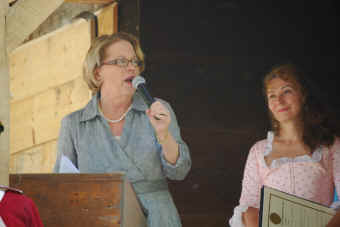 Anna Winter with the Congressional Certificate.